Sugar – Your Biggest Enemy? 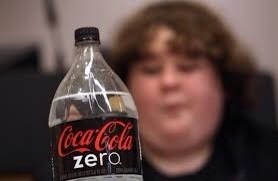 A placebo-controlled, crossover clinical trial, carried out recently at the University of Zurich, Switzerland, showed that drinking low to moderate amounts of sugary drinks for just three weeks disrupted glucose and lipid metabolism and promoted inflammation in healthy young men, in ways that could lead to type 2 diabetes5. Even more worrying is evidence that fructose, the main sugar in sweetened soft drinks, alters the way developing fat cells in children’s bodies behave, leading to insulin resistance and abdominal obesity, both of which can contribute to metabolic syndrome and type 2 diabetes. #3 – Cheat Which Foods To Choose? You may notice you have a minor inflammatory reaction to certain foods, although it may not qualify as a ‘food allergy,’ per say. Examples of this may include puffy eyes, cheeks, or missing definition around bony prominences (i.e. love handles) the day after eating a particular food. Look at belly bloat too! Note these results in your diary. You will quickly learn which foods work for you, you will avoid them and notice your fat loss regulates and even increase. Less systemic inflammation will help fat loss AND reduce your chances of many diseases and conditions. 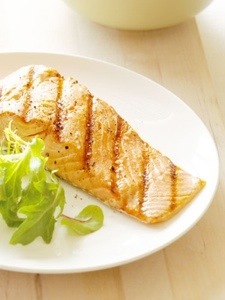 Improve your health by adding more Essential Fatty Acids. The hint is in the name – essential – so you know you must eat them, as your body can’t make them for you. So, what are they? You will find them in oily fish, nuts, seeds and of course in bottles at your supplement store. I think this is the easiest way to improve your health. If you google fish oils and almost any disease you can think of, you will see study after study showing improvements in symptoms and apparent cures. 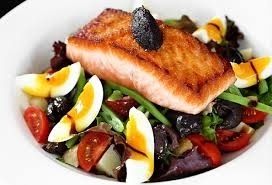 In terms of fat loss I know that if you fake an appropriate daily dose you will reduce your own body fat stores. Skin and digestive tracks will be soothed as will joint inflammation. But, which fish oil should you choose? 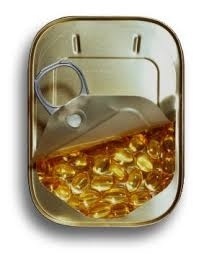 Cod liver oil is better than no oil, Fish oil better than liver oil, Krill oil better still. If your fish oil capsules give you fishy burps, or are very cheap – consider how they are made and where the fish have come from. You may discover that they are contaminated with growth hormone, heavy metals and more. Ideally you want oils from fish caught in the open ocean, preferably a cold ocean. So, focus on quality and value rather just on cost. Day 14 New Year New You : Which Fish Oil? How Much? Which Omega? Fish Oils – How Much and Which One? Q: How much fish oil should I take? A: Our general recommendations are to aim for around 2-4 grams of EPA/DHA per day. However, if you eat lots of wild-caught salmon, grass-fed beef and other natural sources of omega-3 fatty acids, and generally avoid sources of omega-6 (like vegetable oils, factory-farmed meat, nuts and seeds), you may not need any fish oil supplementation at all. Q. When should I increase the dosage? A. If you’re diet isn’t too good, you’re overweight, you’re recovering from injury or illness then increase the factor in your calculation. Q. What is the dosage calculator? A. Generally we recommend you take between 0.5 – 1g EHA & DHA per every 10lbs of body weight. So, if you’re (an overweight) 200lbs you would need 20 X 0.75g in even amounts with food through each day. Q: Are there any contraindications for taking fish oil? Of course, before starting any new medication or supplement, it is always a smart idea to consult your physician, right? Q: I’m pretty inflamed/sick/overweight. Can I take more than you recommend to jump-start results? A: Hear us clearly – you can’t fish oil your way out of poor dietary choices, lack of sleep, over-training or any combination of the above. It’s of the utmost important that you get your dietary and lifestyle house in order! More fish oil is not better – and in some instances, can do more harm than good. So make better food choices, get to bed earlier, allow yourself more time to rest and recover and do your best to minimize stress – and don’t rely on any pill or supplement to fix your stuff. Q: Where do Omega-3 fatty acids come from? A: Omega-3 fatty acids are found in the green leaves of plants, like grass, phytoplankton, algae and seaweed. This is the food that OUR food is designed to eat, which makes grass-fed beef, pastured organic eggs, and most importantly, certain types of fish (wild-caught fish and fish lower on the food chain, like herring, anchovy, sardine and mackerel) are good, natural sources of omega-3′s. Unfortunately, due to poor meat quality, and over-consumption of fast foods, processed foods, and vegetable oils, most of our diets are lacking in these essential fatty acids (and overly rich in pro-inflammatory omega-6 fatty acids). Q: Why do I need EPA and DHA? A: You only need a quick web search for this one, because there is a wealth of information on this subject. Fish oil is not a magic bullet, but there are an infinite number of well-documented benefits for a whole host of lifestyle diseases and conditions. The short answer is that EPA and DHA are specific types of polyunsatured omega-3 fatty acids. Your body cannot produce these fatty acids – you must get them from the food you eat, or via supplementation. EPA and DHA are natural anti-inflammatory agents, and as such, play a role in brain health, heart health, protection against cancer, Alzheimer’s and depression, improvement of skin conditions like psoriasis and acne, fetal brain development, inflammatory bowel disorders, and arthritis, to name a few. Q: Is there an ideal EPA to DHA ratio? A: This isn’t particularly important – but a supplement in the general neighborhood of 1:1 would be a good find. DHA converts to EPA easier than vice versa, so if you had to choose, choose a high-DHA oil. Like this post? Follow my blog. Slice into a crucifer and you will likely see a fascinating pattern of leaves, buds, and stems that form a cross shape. Packed within these dark green, white, and sometimes red vegetables are cancer-fighting surprises. You may think that cruciferous veggies are just broccoli and cauliflower – but there are many more than that. These veggies are low in calories, and high in fibre, calcium, iron, vitamins A and C and beneficial enzymes. Cruciferous vegetables can be dense and crispy, like broccoli, cauliflower, cabbage, and Brussels sprouts. They are also root vegetables such as radishes and daikon, kohlrabi and rutabaga. But did you know that some of the leafy greens, such as collard and turnip greens, rocket and cress are also crucifers? A healthy diet that includes two to three cups of fruits and vegetables daily can help lower your risk of many diseases, including cancers of the mouth, pharynx, larynx, oesophagus and stomach. In lab studies, some components of crucifers have helped to halt the growth of breast, cervix, endometrium, lung, colon and liver cancer. Dietary Fibre: Fresh, frozen and cooked crucifers are a good source of dietary fibre. You can snack on broccoli florets with a low-fat yoghurt dip and you will lower your cholesterol as well as your risk of heart disease, and keep your tummy happy. Fibre from crucifers helps reduce constipation and other digestive problems, while giving you that feeling of fullness that helps you avoid overeating. Beta Carotene: It’s OK to take supplements to get your beta carotene, but getting it from vegetables seems to protect cells that are exposed to carcinogens, and prevent cancer from forming. In fact, taking beta carotene in supplements seems to raise your risk for lung cancer. But getting your beta-carotene from crucifers is safe and lowers your risk for cancer. Crambene: Found in many crucifers, this compound, when combined with Indole-3-carbinol, activates your body’s detoxification enzymes. Working together, as they naturally do in crucifers, these two compounds appear to prevent healthy cells from becoming cancerous. Fairly high amounts of crambene and Indole-3-carbinol were required in an experimental setting, to have this preventative effect. Vitamins A and C: Vitamin A is good for your eyesight and your skin. VitaminC assists with tissue growth and repair, helps heal cuts and wounds, and keeps your teeth and gums healthy. The most powerful crucifers, when eaten raw, are: broccoli sprouts, broccoli, cabbage and Brussels sprouts. Many crucifers can be eaten raw, after washing to remove dirt and grit. Slice them into bite-size bits and drop them into salads, or slice them into strips for finger food. Arrange raw broccoli on a decorative plate alongside cauliflower, radishes and kohlrabi, over a bed of Cress or Rocket. Pair that with a side of low-fat dip, and you’ve got a healthy snack or appetizer. Prefer good old-fashioned leafy greens? To prepare bok choy, kale or collard and turnip greens, first blanch the leaves in boiling water and then quickly stir-fry them in coconut oil. The faster you cook your greens, the more nutritious they are, because too much heat can rob them of their dietary power. Mustard seeds (brown, green, white or black), are also part of the crucifer family, and can be briefly toasted in a hot skillet just until fragrant, cooled, and sprinkled over salads and meats. Don’t cook any crucifer for more than 30 minutes – make it less and keep it healthy! Frozen broccoli and cauliflower is easy and still retains its cancer-fighting properties, and you find those mixed with other great vegetables, you’ve got a quick and easy nutritious side dish. Steamed or micro waved crucifers can retain their vitamins and other beneficial compounds, as well as their appealing colours. USDA MyPyramid.gov. Inside the Pyramid – Vegetables. Last updated: September 15, 2011. American Institute for Cancer Research. Foods That Fight Cancer. Cruciferous Vegetables. National Foundation for Cancer Research. Choose Crucifers – The Vital Veggies. 2008. American Society for Nutrition J. Nutr. 135:2972S-2977S, December 2005. Synergy among Phytochemicals within Crucifers: Does It Translate into Chemoprotection? Matthew A. Wallig, et al. AACR Meeting Abstracts 2006 2006: B158. Azarenko, Olga, Jordan, Mary Ann, Wilson, Leslie. Effects of the isothiocyanates sulforaphane and erucin on breast cancer and normal human mammary epithelial cells. Journal of Nutrition 135:2972S-2977S, December 2005. Matthew A. Wallig, Kathleen M. Heinz-Taheny, Donna L. Epps and Tamara Gossman. Synergy among Phytochemicals within Crucifers: Does It Translate into Chemoprotection?